Best Resignation Letter Ever: "Umm ... I have to quit because I'm helping a guy sail his boat to Panama." 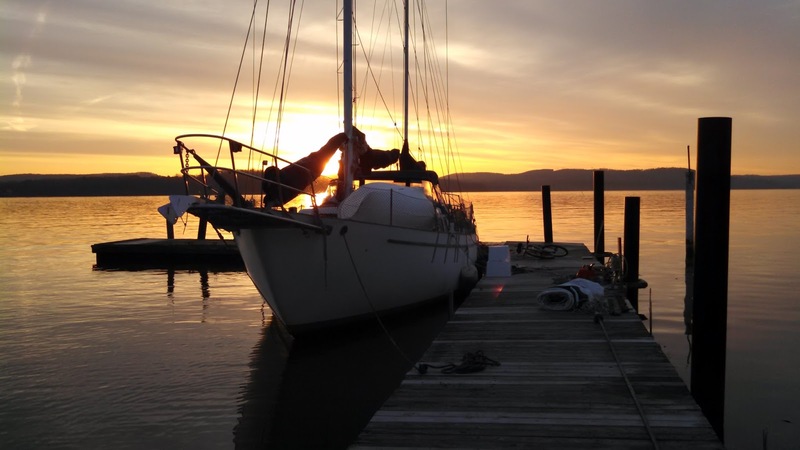 I drove from Michigan to Newark International Airport to pick up Alex a couple Sundays ago and we got to work on his boat here at Stony Point on the Hudson River. Once s/v Eleanor is ready, the plan is to sail down the East Coast on the Atlantic Inter-Coastal Waterway with some jumps offshore. After a little time in Florida and the Bahamas, we will head through the Windward Passage and on to Panama. The first few nights here in Stony Point were a bit cold but we really started the right week; just as the weather changed. Spring is springing, the days are getting warmer and we are making good progress on boat projects. Eleanor is a Westsail 42; a beautiful cutter ketch. 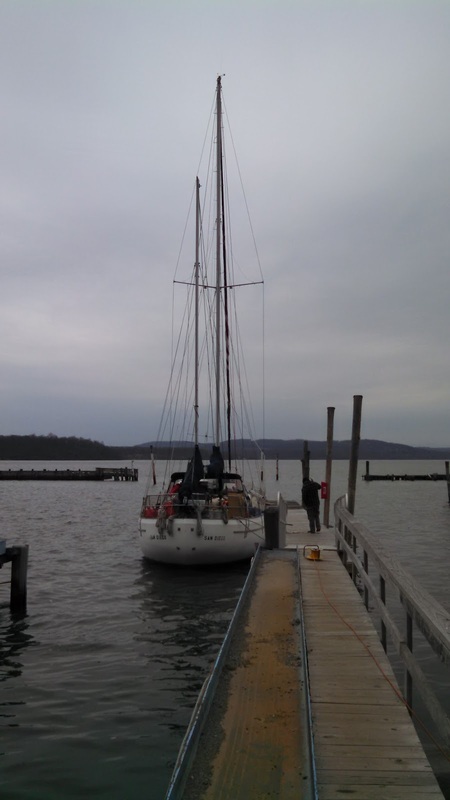 We have installed a woodstove, a hydraulic autopilot and removed the furler. We've googled and stressed about rod ends, thread sizes, manuals and various installation instructions. There's wiring to finish at the autopilot controls and various bits to install like a wind vane, another bilge pump, a transducer, a new headstay and a new furler. The schedule is tight to get to Panama before Hurricane Season, but we are doing well and life is good. I am crew, barely qualified as a swab, but I've been helping all I can to help get Eleanor ready and doing some cooking in the galley. It is a privilege, and a luxury, to defer to the judgement of a knowledgeable captain. I am not in charge of anything and get to learn stuff at every turn. 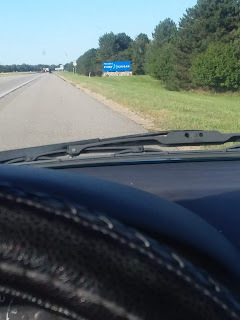 So, I quit my job and drove 12 hours to spend three months or so in relatively close quarters with a guy I'd never met. There were many uncertainties about this endeavor. And everyting is working out great actually. What is life changing is the openness and direct experience of not knowing exactly what's next and not having to care about it. There is no worrying or planning, I am allowing the path to emerge just ahead of my footsteps. Whether we imagine its a red carpet or a thorny path that lies ahead of us, neither really exists. I just step toward that which will make my life better at that moment. The rest takes care of itself. In your next life you should be an author as your words hold meaning and flow so well!